HOUSTON, TEXAS – ACFM, Inc. ships Complete Rail Car Unloading Skids. The Rail Car Unloading skids are for installation at two facilities owned by the largest manufacturer of integrated plastics in North America. The equipment will be placed to unload rail cars and transfer raw plastic to holding silos. 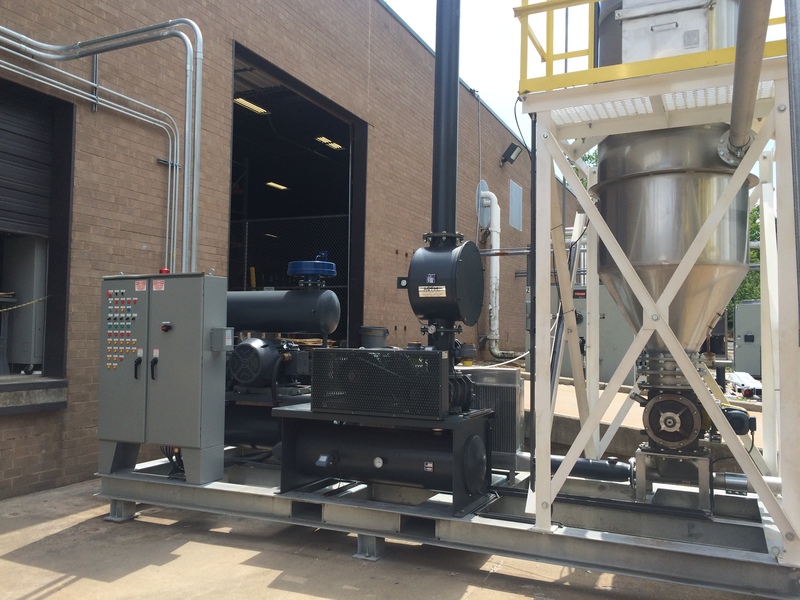 The skids utilize a vacuum and pressure blower complete with filter receiver, rotary valve and control panel to sequence and optimize the unloading process. The Largest of the two systems is designed to handle up to 40,000 lbs/Hr. of LLDPE (Low Liner Density Polyethylene) pellets. ACFM worked closely with customers engineering team to spec out the two systems each of which is slightly different for specific location demands. This project was built by ACFM at its Houston, TX facility where the company builds all of the company’s standard and customer engineered Blower Packages. ACFM utilizes Roots Blowers, the industry leading manufacture of PD Blowers. ACFM, Inc.’s primary business is in air and gas handling systems for pressure and vacuum applications for a multitude of markets, including, material handling, wastewater treatment, process vacuum, chemical and petrochemical applications, vapor recovery, and VOC’s to name a few.